I'm going to Emily's 90s themed birthday party next month and needed inspiration for what to wear. (Check out Emily's beautiful Instagram page) so when I was offered help from Brag Vintage I jumped at the chance! 90s clothing is gaining popularity fast and in particular the grunge scene has had everyone reaching for those plaid shirts. The 90s may not seem that far away for some of us, but it’s been over 20 years since we started to see snap bracelets, bucket hats and flashy windbreakers! Denim went crazy in the 90s and we saw all different kinds of effects and styles. Bleached, ripped, baggy, high waisted and customised denim could be seen everywhere! Crop tops are another 90s fashion statement that has comeback this year and they look great paired with a pair of high waisted jeans. At the other end of the 90s spectrum was the bright coloured, preppy style. Polo shirts, gypsy tops, floral skirts, scrunchies, headbands and jumpsuits. The majority of these trends have been slightly re styled and can be seen in so many high street stores. Leggings, skinny jeans and oversized jumpers have been popular for a number of years now and it seems people are embracing the 90s in a way that suits them. 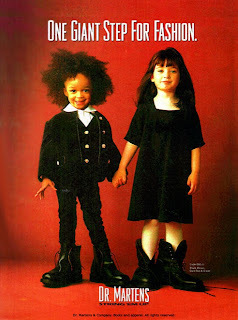 Despite being made in the 60’s Dr Martens were probably one of the most iconic shoes of the 90s. These boots could be styled with just about anything and gave a rocky edge to any outfit. Wearing 90s clothing doesn’t have to fill you with dread (like when you remember the time you thought brown lipstick and crimped hair was a good idea!). The key to styling 90s clothing and still looking amazing is to wear pieces that compliment you and the rest of your wardrobe. 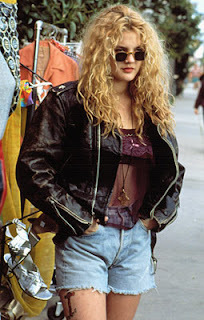 What are your favourite 90s fashion trends that you would like to see make a comeback? 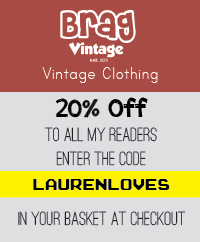 Plus here's a discount code for all Lauren Loves readers!